This book is read with great pleasure, as each page turns the reader can expect something even more surprising than the previous one. A subtle, delicate and moving novel that has touched my heart. 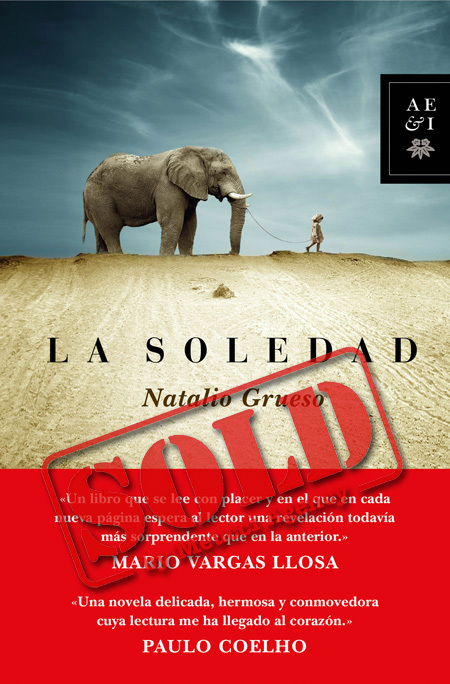 La Soledad is a thrilling journey to the human soul, an adventure full of imagination and sensitivity in which desire, gratitude, justice, humour and dreams mix all together. A bunch of unforgetable characters, which will remain for a long time in the heart of the readers, form the core of this novel: the charming theft Bruno Labastide, the book prescriptor, the hunter of dreams, young Lucas who smuggles with poems, or the beautiful japanese lady with eyes of the colour of honey that every night challenges destiny from her venetian apartment. This page turner novel take us around the world, from Paris to Buenos Aires, from Venice to Shangay, from Guatemala to Bhagdad, involving the reader in the awesome vital trip of its characters, lonely loosers that -however- pursuit the most beautiful and amazing goal in life: to achieve the happiness of others. Remember movies like Babel, 21 grams (by Alejandro González Iñárritu) or Magnolia (by Paul Thomas Anderson).